Come see what we're Accomplishing! 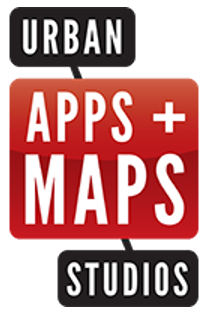 Urban Apps & Maps Studios is a university-wide interdisciplinary program of urban civic start-ups and community engagement. We aim to build a vibrant ecosystem with community members, university faculty and students, and businesses to catalyze urban innovation using digital technology. Directly working with community members in North Philadelphia, the Studios designs, develops and incubates civic start-ups to transform urban challenges into sustainable products and services. We believe in the idea of "citizen entrepreneurship" as a powerful way of leveraging the city as a platform. We offer mentoring and internship opportunities to local high school students and internship. Through Design Challenge and focused Design Workshops, the design stage involves discovering unmet needs of urban stakeholders and conceiving possible solutions and necessary resources to implement them. We host hackathons and mappathons to prototype, test, and visualize the novel ideas for civic urban start-ups while receiving valuable feedback from a broad spectrum of community stakeholders. We curate promising urban civic start-up projects to further advance business models, refine of software systems, and crowd-fund them. We engage in the development of citizen entrepreneurship to reduce the "digital creativity gap" in next generation urban leaders through year-round immersive education and mentoring programs.